If anyone came into UFC on ESPN+1 lugging around some baggage, it was Greg Hardy. After all, the ex-NFLer is no longer a pro football player anymore because of some nasty domestic violence issues. But he’s won quick and violently on Dana White’s “Tuesday Night Contender Series”, so he we are. Standing opposite him in the Octagon was Allen Crowder, a total nobody who had the crowd’s love simply because Hardy is a villain. And in the opening seconds, it was the villain throwing heat and the hero taking lumps. But in a scant few seconds Hardy was spent, and it was Crowder’s turn to take control – which he did by getting Hardy down and working him over a bit. Crowder threw his advantage away with a guillotine attempt, but he’s no salty veteran, and mistakes happen. Round 2 saw the two going at it on the feet, and when it was clear that Hardy had nothing in the tank, Crowder began verbally taunting the heck out of him. And then Hardy did the most Hardy thing ever: Crowder wound up on one knee in a scramble, and while standing above him, Hardy cracked him with a knee to the dome. Yup, a totally illegal technique, and when Crowder couldn’t continue, referee Dan Miragliotta disqualified Hardy without blinking. The post UFC Fight Night Brooklyn Results: Greg Hardy Gets DQ’d for an Illegal Knee Because of Course He Does appeared first on Caged Insider. Fight fans will have to wait to see Joanna Jedrzejczyk step foot back inside of the Octagon. 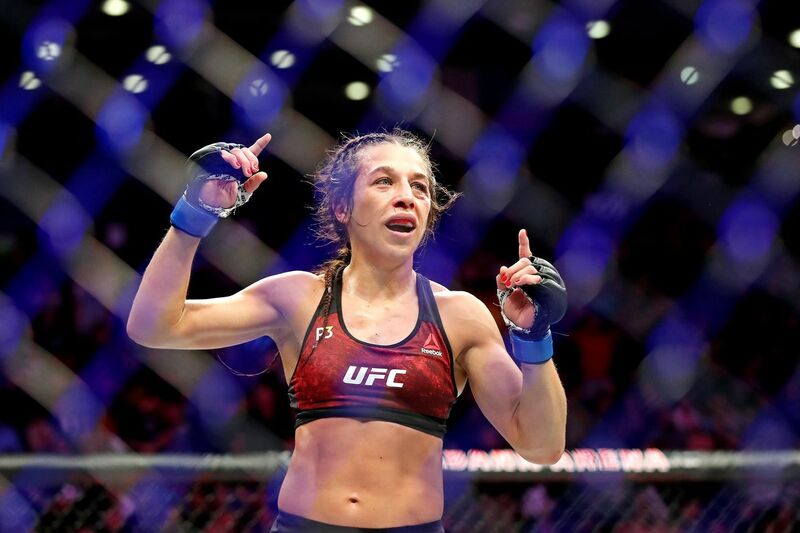 That’s according to the former UFC women’s strawweight champion herself, as Jedrzejczyk recently revealed that she turned down an offer to fight in March. The proposed event and opponent are unknown at this time, but streaking strawweight contender Tatiana Suarez was a rumored name. This comes just days after Jedrzejcyzk tagged ONE Championship in an Instagram post, which was later deleted. Jedrzejczyk, 31, is coming off a crushing defeat at the hands of Valentina Shevchenko at UFC 231 for the vacant UFC women’s flyweight title. Before that, the Polish striker lost back-to-back title fights to Rose Namajunas at 115 pounds, which ultimately ended her eight-fight UFC unbeaten streak. Jedrzejczyk sprinkled in a decision win over Tecia Torres this past July but simply hasn’t looked like her dominant self since her initial knockout loss to “Thug” back at UFC 217. Considering Jedrzejczyk has fought at least twice per year since her UFC arrival in 2014, which includes a total of nine five-round title fights, the former champion may be taking a second to reset and collect herself. When Jedrzejczyk does decide to return to action she’ll have to start from scratch to work her way back up the strawweight/flyweight ladder in another attempt at UFC gold. Now, Henry says he once again sacrificed some cash to face TJ Dillashaw at the upcoming UFC on ESPN+ 1 event on Saturday night (Jan. 19, 2019) in Brooklyn, N.Y., seeing as how he could’ve earned a bit more if the fight was on pay-per-view (PPV). Cejudo didn’t mind, though, as he says he did it for the sake of the Flyweight division. Plus headlining the first-ever UFC on ESPN fight card was an added bonus. “Look at the opportunity they gave me,” Cejudo said during a recent media scrum via MMA Junkie. “It’s a Cinderella story. I beat this guy, resurrect the flyweight division, and that’s all there is to it. I’m willing to sacrifice some of my money for the sake of others. After this fight, let it be known I’m a prizefighter. So Uncle Dana and everybody is going to have to cough up, because I ain’t fighting for free,” he added. 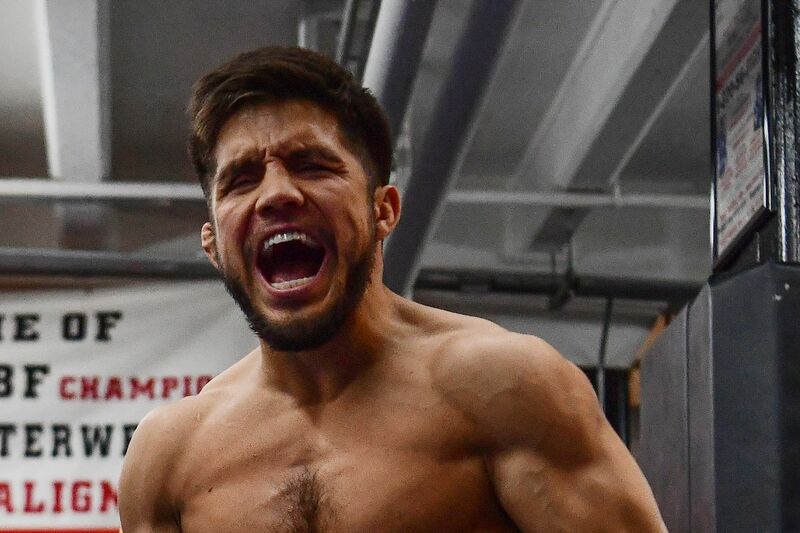 Should Cejudo retain his flyweight title with a win over TJ, he wants to make sure he can lock down another title fight with “Viper,” this time for his Bantamweight strap. But make no mistake, he wants to get paid next time around. The narrative — one Dana White has sort of been hinting at — is that the 125-pound weight class will stay put should Cejudo win. If TJ wins, then most seem to think that’s all she wrote for flyweights competing inside the Octagon. To see the most up-to-date UFC on ESPN+ 1: “Cejudo vs Dillashaw” fight card click here. And to subscribe to ESPN+ 1 click here. For a hot minute there, Colby Covington was almost the man. He beat Dong Hyun Kim, beat Demian Maia, and then beat former lightweight champ Rafael dos Anjos (albeit at welterweight). Added to that formula was his incessant trash talk, and it seemed like Covington was a lock for a heated bout against reigning welterweight king Tyron Woodley. Well, you know that old adage about striking while the iron is hot? Apparently Covington’s unwillingness to fight on the UFC’s timetable has cost him that would-be money fight. Tyron Woodley vs. Kamaru Usman is a done deal for UFC 235 on 3/2, sources say. If all goes according to plan the fight will serve as co-main for Jon Jones vs. Anthony Smith. However, unlike Woodley-Usman, Jones-Smith isn’t signed yet. Jones has to get his license on 1/29 first. In the end, while Colby Covington was ready to go for 235, UFC chose to go with Usman because his stock rose mightily in their eyes after the RDA win + his subsequent willingness to fight anyone on short notice in January despite being injured. Covington held out and it cost him. I want to feel bad for Covington, maybe make the argument that he got screwed… but he’s an idiot who screwed himself. Sure, fighters are supposed to make the most of their time in the spotlight, because that time won’t last forever, but Covington’s wins were never all that exciting to begin with. I guess he over-valued his worth. Because hated trash-talkers who are only minimally exciting are a dime a dozen, don’t you know? The post Colby Covington Screwed Out of Title Fight Because He Is an Idiot appeared first on Caged Insider. Anthony Smith’s star is certainly rising and 2018 was definitely his breakthrough year in the Ultimate Fighting Championship with “Lionheart” now penciling in a potential bout with light heavyweight champ Jon Jones.